As much as we wish it weren’t so, friends will come and go. As circumstances change, friendships can dissipate. Childhood friends, for example, typically lose touch over time. When it comes to our adult friends, things like switching jobs or moving can cause a loss of connection. The fact is, situations change, and changes in friendships are going to happen. However, this isn’t the case for a group of best friends in Texas. 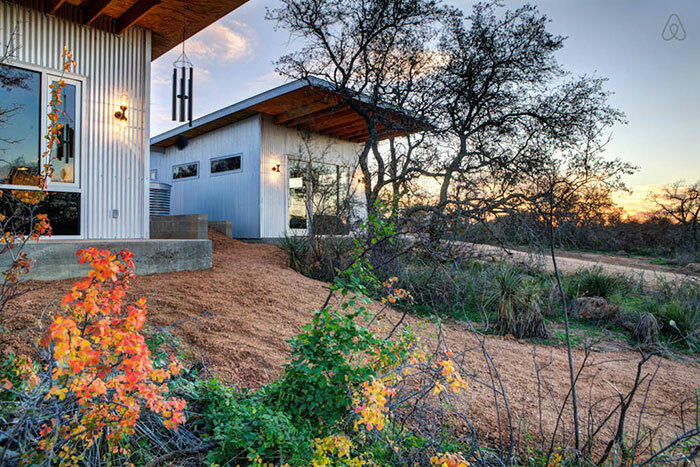 They wanted to ensure their friendship would last through time, so these 8 friends (4 couples) did just that by purchasing ten acres of land just outside of Austin, near the Llano River. 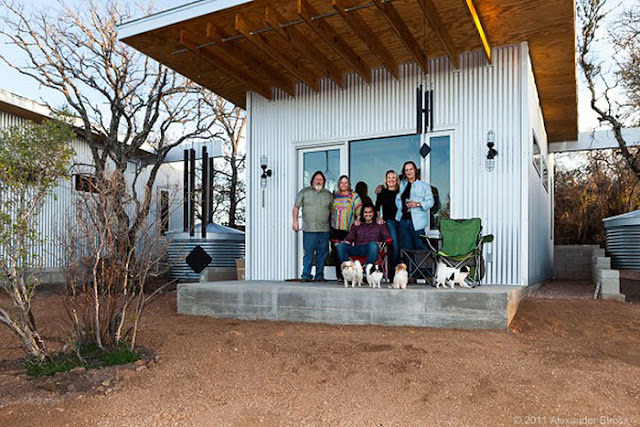 There, the “Llano Exit Strategy” became a reality as they created “Bestie Row,” a neighborhood all their own. 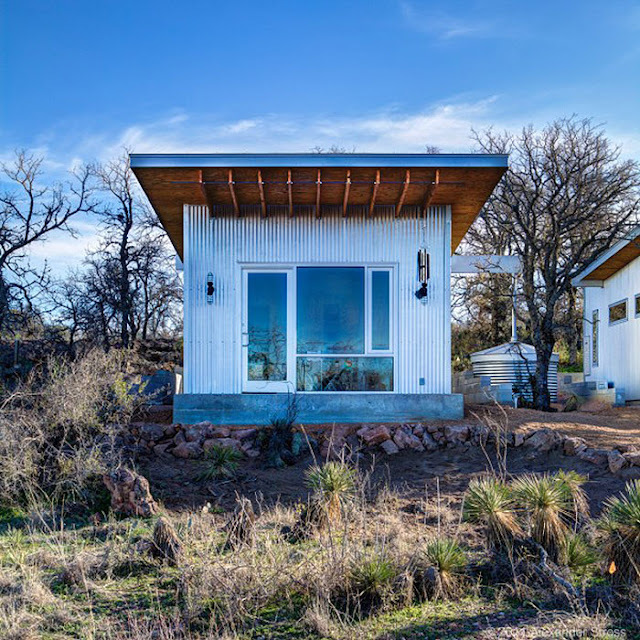 As fans of the tiny house movement, this group of friends built their own community of small houses just for themselves. 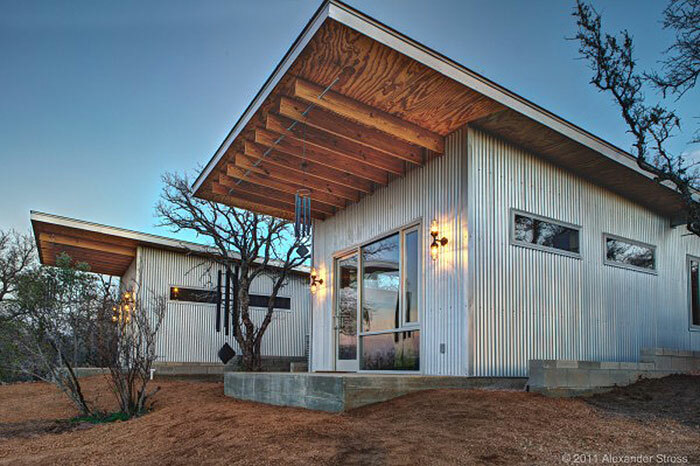 Architect Matt Garcia was hired to turn their dream into reality. 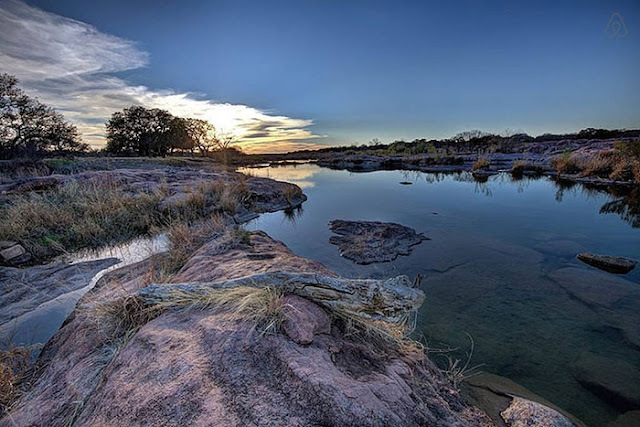 With ten acres of land near the Llano River, their view is spectacular. 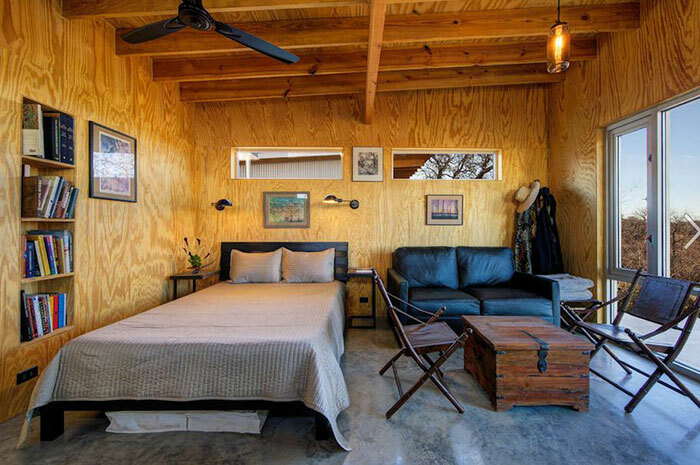 While they initially considered living together in one large house, they realized the importance of personal space. But they still wanted a space to commune together, so they built a 1,500 square-foot community building complete with a kitchen, dining area, and extra space for fun activities. 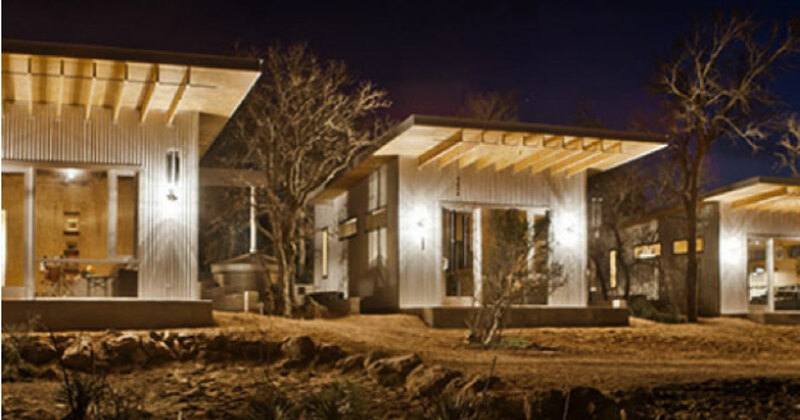 Each tiny home is a 400 square-foot cabin costing $40,000. Their community, dubbed the “Llano Exit Strategy,” was designed specifically for the Texas climate. 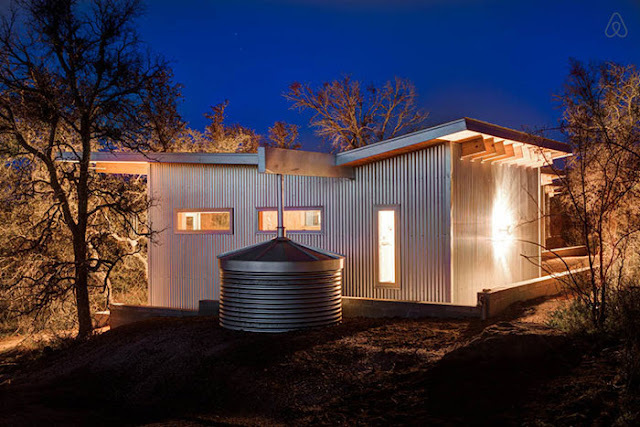 With the environment in mind, each home uses solar heat and contains a sloped rooftop to angle runoff rainwater into water catchment tanks below. 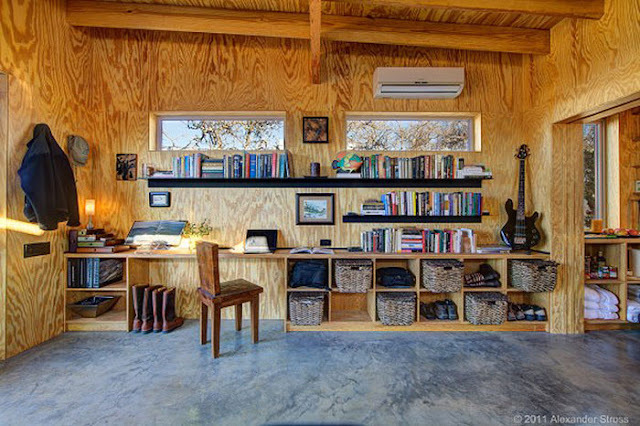 The home’s interior is a mix of modern and rustic. It’s cozy, while using the minimal amount of space. Can you imagine living in your dream home with only your best friends as neighbors?! That must be the life!